Grab this new offer from the Republic of Tea. Hit the link below to reach the site and fill the request form with your contact information, then check your email for confirmation. 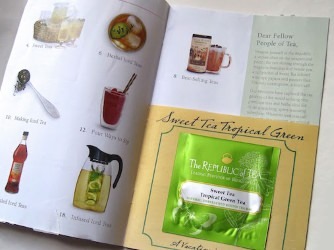 You will receive your free tea bag inside the Republic of Tea catalogue.